At her daughter Soundarya’s wedding, Latha Rajinikanth was seen in a mint green and pink combination Kanjivaram saree. Traditional gold jewellery complemented her look! 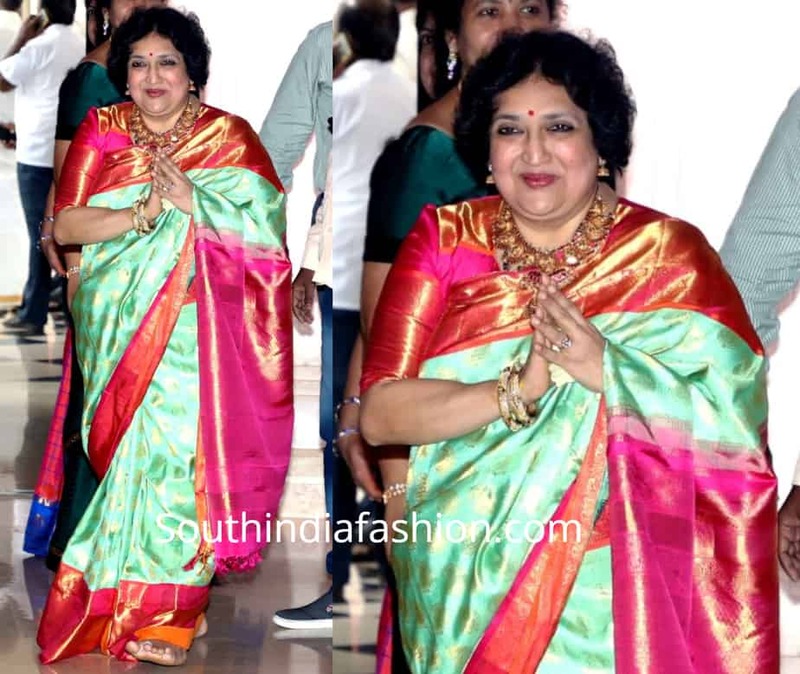 The post Latha Rajinikanth in a Kanjivaram saree appeared first on South India Fashion.